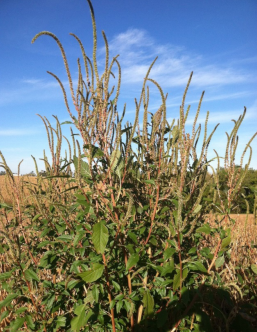 You are here: Home / Blog / Production / Be on the lookout for Palmer amaranth. 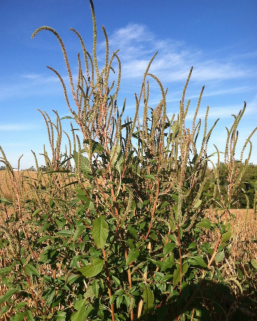 The USDA urges farmers to be on the lookout for Palmer amaranth. Pictured above, this problematic weed has broken out of its native south west and is already present in Wisconsin. Palmer is an aggressive weed that can grow 2-3 inches a day and reach heights of 6-8 feet. Weeds of this size can inhibit productive crop growth and reduce yield. Should you spot Palmer amaranth, be proactive. Please report ANY sightings to your local county extension agents and crop consultants. 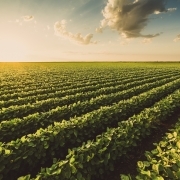 How Row Spacing and Seeding Rates Affect Weed Management Considering Switching From Corn to Soybeans? Read This First.